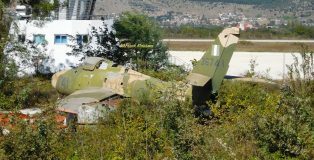 This gallery features pictures of aircraft that have been disposed of or preserved in one way or another; the airframes depicted here (gate-guards, monuments, eye-catchers, etc.) are photographed in the years 2011 onward. Airframes pictured in earlier years are in a separate gallery. 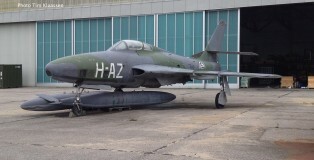 Note that some of the aircraft portrayed here are no longer present at the given location. W&R portrayed in the USA are dealt with in a separate gallery (also in this album “Preserved Aircraft”). On a very hot day in June 1969 the Wildenrath Airshow took place; Wildenrath was at the time one of the four RAF-Germany airbases. It was an excellent opportunity for young spotters,such as Hans and Frank , to enlarge their collection! 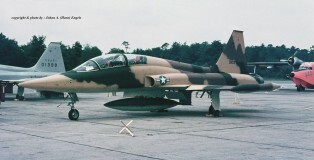 The Thunderflash was the very successful reconnaissance version of the Thunderstreak; within NATO it a.o. 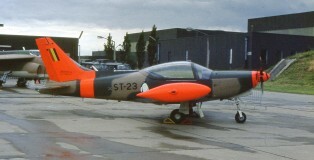 saw service with the the Belgian Air Force (BAF). 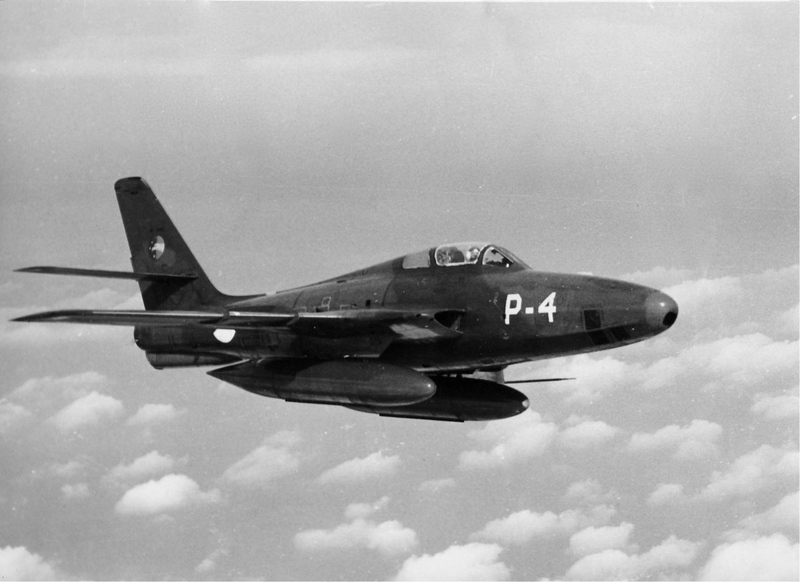 Norway never used the Thunderstreak, but it did aquire a number of the reconnaissance variant , the RF-84F Thunderflash. On June 21st and 22nd, 1980 two Open Days were held at Bierset AB in Belgium and it was one of the first times that a Belgian F-16 was shown in public. There were so few people visiting the Open Day on the 21st , making Hans think for a while that the organizers had assembled the aircraft on static especially for him…! Despite the less favourable weather conditions he took some colour-slides. 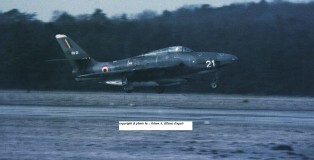 No 306 Sqn KLu received its first RF 84 Thunderflash at RAF Laarbruch on 4 April 1956. The squadron was posted to Laarbruch from 8 Nov 1954 till 15 Jan 1958 when they moved to Deelen. 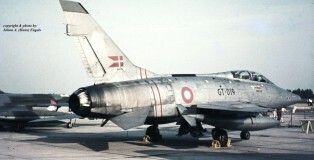 In their early days they wore a silver livery with the 306 squadron-code (TP-) on the nose; in later years they were camouflaged and subsequently their P- registration was added.